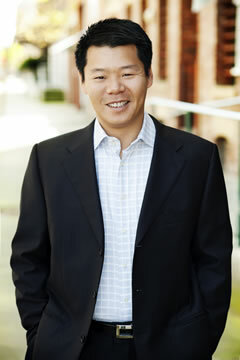 ROMAN J. LEE is a seasoned immigration attorney representing businesses and individuals across the U.S. and overseas. The value of Roman’s practice lies in creative and customized immigration solutions weaved and tailored to each client’s needs and circumstances. Strategizing and planning are as critical in immigration matters as in other legal matters. Each case is different in some ways and immigration processing involves many factors which affect the outcome of a case. Personalized attention to details and customized solutions are keys to Roman’s high success rate in his immigration practice. Roman began his legal career in 1997 with a boutique immigration law firm in San Francisco. During the early years of his career, Roman had a very broad exposure to both business and family immigration matters. In 2001 Roman joined a general practice law firm in San Francisco in charge of employment and work visa matters for the firm’s high-profile corporate clients in engineering and bio-tech industry. Prior to Roman’s embarking on his current solo practice, Roman also served as Of Counsel in immigration laws to an intellectual property law firm in San Jose and a New-York based general practice law firm. Roman’s business immigration practice includes: nonimmigrant visas for foreign professionals (H-1B Specialty Occupation and NAFTA Professional) and artists; international personnel transfers; international trainee programs; labor certification (PERM) applications for permanent employment; temporary work visas and permanent residence for internationally acclaimed artists, scientists, and researchers; immigration matters for family dependents; treaty investor/trader visas; visas for religious workers; and other employment based immigration matters. Roman’s clients range from individual professionals to large multinational corporations. He regularly works with individuals and companies in various industries including law firms, investment and accounting firms, semi-conductor manufacturers, software developers, architecture firms, publishing companies, biotechnology research organizations, industrial manufacturing, civil engineering, financial services, international trade, hospitality and tourism, as well as academic institutions and non-profit organizations. In addition to his law practice, Roman regularly volunteers his legal skills and knowledge to the communities. He served as visa advisor for the Silicon Valley Moon Festival assisting a Chinese opera performer to come to the US for cultural performances. He also engaged in seminars and speaking events for the International Student Club at the University of California, Berkeley, addressing visa options after graduation for international students. Roman served as a member of Board of Directors for the Fu-Jen Catholic University Alumni Association of Northern California. He regularly writes articles for a Chinese news publisher, the World Journal of Northern California, on issues of maintaining permanent residence status and visa matters. Roman is a graduate of Cornell Law School. He is an active member of American Immigration Lawyers Association (www.aila.org).